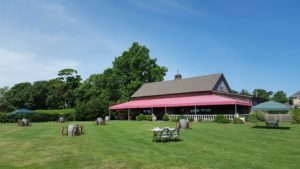 Clovis Point Vineyard and Winery aims to give their guest a comfortable and thoughtful experience. Whether an old friend or a new acquaintance, a sense of community charm is provided by an intimate family-owned operation. Clovis Point crafts small lot artisanal wines in an environment that is rich with charm. The tasting room features a sweeping pastoral view of neatly organized vine rows and bucolic cornfields, providing a comfortable backdrop to engage with friends and knowledgeable staff.